L.A. Mood by Jo Syme. 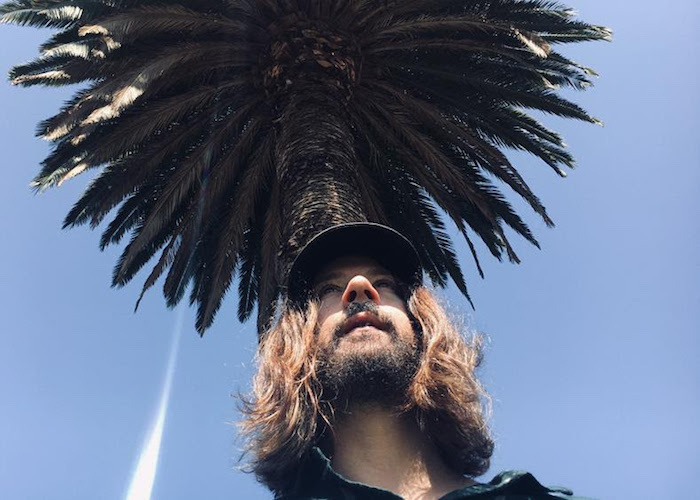 Melbourne-based multi-instrumentalist and producer Dave Mudie returns today with one of his many musical ventures, reigniting the laidback charm of L.A. Mood. Also known as the full-time drummer for rock whiz Courtney Barnett, it’s these infectious drum skills that do a lot of the talking on his latest release. Combined with his gritty lo-fi vocals, ‘Highway Fidelity’ is a refreshing hit of blues-driven-bliss, and we’re very pleased to be providing its very first spin. Taken from L.A. Mood’s forthcoming solo EP Breakfast At Sassy's, the track was co-written with Ambrose Kenny-Smith (King Gizzard, The Murlocs). From the very first note, Ambrose’s signature harmonica will glide you into a state of ease. It’s this fuzz-induced slacker approach that rings loud both sonically and lyrically. Mudie said of the track, “Highway Fidelity is about adapting to life on tour over a period of months and years. Waking up in a new town, waiting in airports and sitting on a bus everyday can be a pretty strange way to live, then trying to fit back into your home routine when everyone has 9-5 jobs and you feel like a weird slacker.” L.A. Mood’s latest song also features Paul Dillon (Sparklehorse, Mercury Rev) on guitars - some might say supergroup? Works for us. This kind of effortless, vintage authenticity, can only really be achieved by someone who has well and truly mastered their craft. It’s well-layered, warm, and bound to make you move. The new track comes with a new video too. Self-directed by Mudie and Hotel Motel’s Jo Syme (also of Big Scary), the video bounces between the desert highways of LA, Melbourne laneways and the actual paradise that Carlton’s median-strip-palms provide. It really is a mood. The Breakfast At Sassy's EP is set for release via Hotel Motel May 10th. L.A. Mood will play his first full-band show ever at Merri Creek Tavern on the same date. You know what to do. Until then, sit back and relax to the below.